Custom Fabric Flags for your Electric Comapny - Full Color Printing & Fast Shipping - Order Online Today! 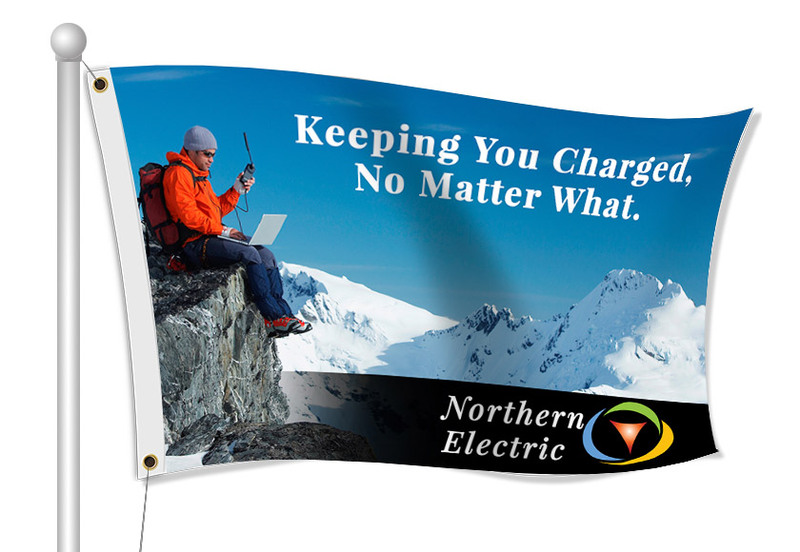 Fabric flags are a great way to build brand awareness for your Electric Company in your area. You can include your company's name, contact info and logo on the flag. Use flags for educational purposes, trade shows, event sponsorships, company outings, and any other event your company has going on. Our most common type of flag is our flag pole flag, but we do have razor flags, rectangle flags, and teardrop flags as well.